Executions fell worldwide by nearly a third last year to their lowest levels in at least a decade, but several countries recorded a rise, Amnesty International said Wednesday, AFP reporetd. 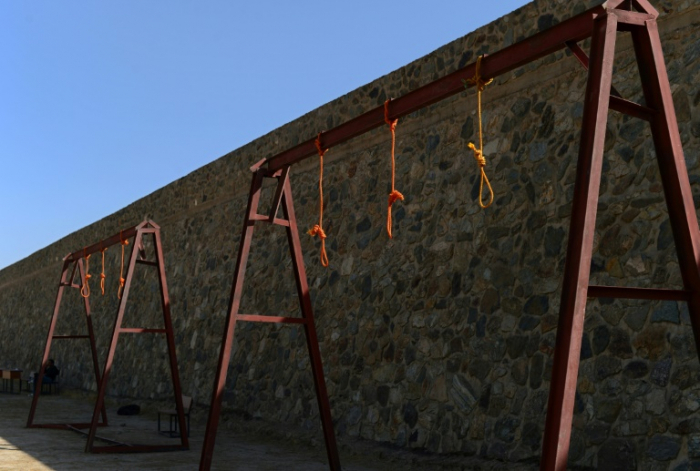 Use of the death penalty dropped in Iran -- by an eye-popping 50 percent, following a change to its anti-narcotics laws -- Iraq, Pakistan and Somalia, the rights group found in its annual review. But it rose in Belarus, Japan, Singapore, South Sudan and the United States, while Thailand resumed executions for the first time in a decade and Sri Lanka threatened to follow suit. "Despite regressive steps from some, the number of executions carried out by several of the worst perpetrators has fallen significantly," said Kumi Naidoo, Amnesty International's Secretary General. He added the "dramatic" drop globally proved that "even the most unlikely countries are starting to change their ways and realise the death penalty is not the answer". "This is a hopeful indication that it's only a matter of time before this cruel punishment is consigned to history, where it belongs," Naidoo said. In total, death penalty figures fell around the world from at least 993 in 2017, to at least 690 last year. Amnesty's count excludes China -- the world's top executioner -- where the numbers are classified as a state secret. The organisation estimates thousands of people are sentenced to death and executed there every year. Iran (253), Saudi Arabia (149), Vietnam (at least 85) and Iraq (at least 52) were the other countries that resorted to the death penalty most in 2018. Vietnamese authorities' decision to release figures for last year was "unprecedented" for the southeast Asian nation, Amnesty noted. Elsewhere Japan, Singapore and South Sudan reported their highest levels of executions in years. Naidoo said these three countries "now form a dwindling minority" and challenged them "to act boldly and put a stop to this abhorrent punishment". Amnesty also noted concern over a sharp spike in the number of death sentences imposed in some countries -- particularly Iraq and Egypt -- over the course of 2018. But its annual review found the global trend towards abolition of the death penalty had gathered steam. Burkina Faso adopted a new penal code effectively banning executions, while Gambia and Malaysia both declared an official moratorium. Meanwhile, courts in the US state of Washington declared the death penalty unconstitutional there. Amnesty highlighted a December vote by the United Nations General Assembly that saw 121 countries support a global moratorium on the death penalty, with only 35 states opposed. "Slowly but steadily, global consensus is building towards ending the use of the death penalty," Naidoo said.